Energy efficient, greater comfort, advanced features – these are some of the benefits of a professional air conditioning installation can provide your home. With that being said, a poorly installed system can do you no good at all. 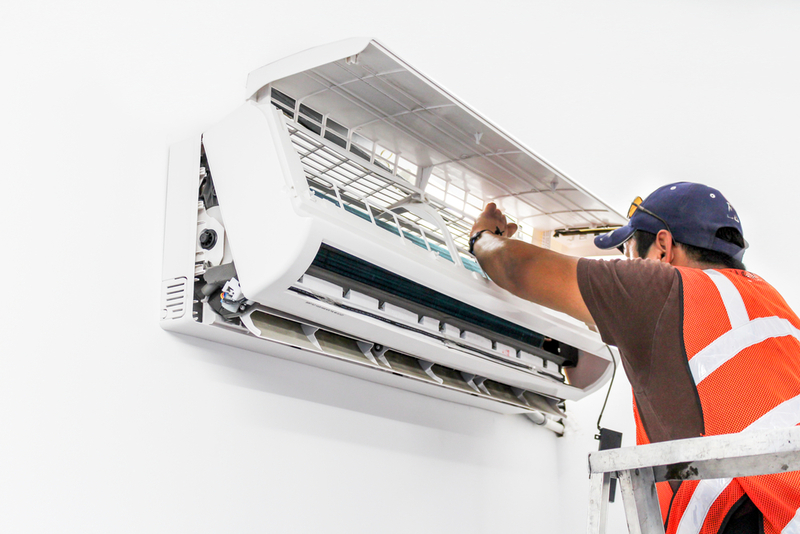 Moreover, your air conditioning unit breaking down will prove to be a stressful time, most especially when it’s during the heat of the summer. Making sure that your air conditioning unit is effectively functioning starts with first and foremost the installation. Thus, it’s important to find a trusted, experienced contractor to do the job. In today’s post, we are going to discuss some AC points that could help you be better familiarized with this fantastic equipment that keeps your home cool. Additionally, learning more about your AC unit can help you decide whether it needs a complete replacement or just some repairs. Any refrigeration system doesn’t create cooling. Yet this fact is not widely known. When people usually hear “cooling unit,” they immediately think it’s the opposite of something that generates heat, like for instance a furnace or a stove. Cooling is the absence of heat. An air conditioning unit removes the heat from the air indoors, transforming it to a colder temperature. However, the heat needs to go somewhere else. This occurrence is why cooling systems have a separate outside unit that discharges the heat. Additionally, while air conditioners give off a consistent stream of cool air, it also reduces humidity. Many AC’s have a drying feature, which sole function is to lessen the humid air while consuming less energy. For AC’s without this function, a dehumidifier is an excellent extra gadget to have. The refrigerant within an air conditioning unit is not the same material that fuels it. What elicits an AC unit to run efficiently is actually, electricity. The refrigerant moves within the system through the components that are powered by electricity. This cycle is what takes heat outside the house. If there are no refrigerant leaks, the air conditioning unit should maintain the same refrigerant levels for the duration of its life. Contrary to popular belief, the filters in the air conditioning unit aren’t there to better the quality of air inside. The primary job of the filters is to prevent dust, pollen, and other particles from infiltrating the HVAC cabinet and causing problems. Filters get congested and block good, proper airflow, negatively affecting the efficiency and performance of your air conditioner. And we all know that filters aren’t self-cleaning devices; they need to be changed regularly. The recommended changing schedule is every one to three months. Over time, your unit will accumulate dirt in both the indoor and outdoor parts. This issue will eventually turn into a more significant problem down the line if proper cleaning and maintenance are not done. Blowers and condenser coils are particularly susceptible to dirt buildup; these problems could result in an expensive repair cost for you. A professional cleaning can thoroughly remove all hazardous grime and dirt within your unit. This step will avoid any inefficiencies and system failures. Additionally, a professional AC cleaning includes the necessary tune-ups and tightening to help your unit perform effectively. This type of installation is not a regular do-it-yourself home project. You will need someone qualified to do the job. See what local businesses are near you, check reviews, and do enough digging so that you feel confident when you choose a technician to install your unit. Your chosen HVAC contractor can help guide you through the energy efficiency rating of your new heating and cooling system. Generally speaking, the standards you need to be looking for are Seasonal Energy Efficiency Ratio (SEER) and the Energy Star label. The SEER rating should be at least 14, with closer to 20 being the highest. On the other hand, the Energy Star label is given by the United States Environmental Protection Agency. This standard means your unit is efficient without sacrificing its performance. While a more powerful, efficient unit can get expensive, the extra cost is balanced by the saving you will get down the line.